A lot to get excited about: at a theater or living room near you. ombie fans have a lot to get excited about this month. Theatres are showing both "Shaun of the Dead" and "Resident Evil Apocalypse," the sequel to the 2002 zombie-fest "Resident Evil," which hit video store shelves with a Special Edition DVD just two months ago. Additionally, the Halloween season will see the much-anticipated DVD release of "Dawn of the Dead," the remake of George A. Romero's 1978 classic that spawned a generation of low-budget splatter zombie films. If all this wasn't enough, this month, Romero is expected to start production on "Land of the Dead," the long-awaited finale to his definitive zombie series. After years of lurking in the shadows of foreign and low budget gore genres, zombies have gone mainstream. Over the past two years, zombie movies of one sort or another have been piling up in theatres and on DVD. This phenomenal growth of blockbuster zombie films is largely due to the fact that, unlike vampires, mummies and werewolves, the zombie has recently undergone a Cambrian evolution  from which has emerged a modern monster, uniquely equipped to terrify and excite even the most jaded horror fan. Zombie movies today are not at all what they were just a few decades ago, when zombies emerged as solidified horror figures for the first time. A reference point for zombie films: George A. Romero started the modern zombie era in 1968. The modern zombie era started in 1968, when Romero released "Night of the Living Dead," a spooky, atmospheric film with a heavy socio-political message. Widely regarded as the finest film of its kind, "Night of the Living Dead," along with its two sequels, "Dawn of the Dead" and "Day of the Dead," has served as a reference point for every zombie film created since. 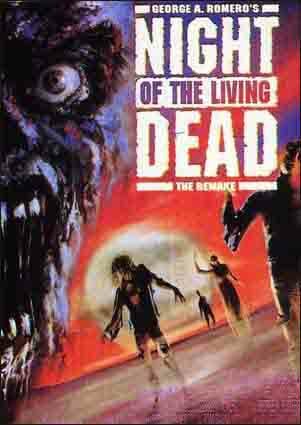 While technically one could argue that zombie films have existed since before the talkies, it was Romero who truly birthed the flesh-eating, lumbering, mindless zombie we all know and love today. 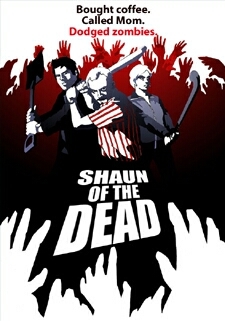 The commercial success of the original "Dawn of the Dead" (released internationally as "Zombi") launched an entire sub-genre of international exploitation films, many of which have become classics themselves. But none ever regained the prestige or popularity that Romero's first two zombie films found. These sub-genre films, to a large degree, ignore social commentary and instead tend to revel in a degenerative gore-fest, where plot and poignancy take a backseat to mutilation and special effects. Because of their high shock value and low art factor, zombie films have remained on the fringe until recently, when one film turned the genre on its head. The zombie has pretty much been the low man on the totem pole of horror since day one. Zombies lack the romance of the vampire, the exotic mystery of the mummy or the mobility of the werewolf. They have tons of deficiencies: they're slow, they lack even rudimentary intelligence, they are relatively weak and, like the nearly extinct koala, they rely solely on one source of food, namely, human flesh. The only advantage they have over humans is their ability to converge on their prey in large numbers, and the fact that they're dead and, therefore, impossible to kill. Only incineration or disruption of the brain can stop a true zombie. A new level of urgency: succumbing horribly to zombie savagery. It was the 2002 release of a relatively low-budget film, Alex Garland's "28 Days Later," that transformed the zombie forever. Unlike the lumbering, lurching, slack-jawed, suited zombies that terrorized mankind in throngs of Italian splatter films in the '80s, Garland's zombies move with amazing and, at times, alarming speed  adding a new level of urgency and suspense not seen before in zombie films. Where Romero's zombies gathered, Garland's zombies swarm. With this newfound agility, just one measly zombie can be a menace to a handful of humans without having to rely on sheer numbers to overwhelm its victims. For audiences, the speed-empowered zombie leads to unprecedented intensity, as any dull moment could quickly erupt into a gory blood bath where the ill-fated human characters barely have time to find a crowbar or a fire poker before succumbing horribly to zombie savagery. Recently, the cause and explanation of "zombie-fication" has been gradually changing to keep up with the news. While traditional zombie outbreaks have been caused by some kind of radiation, either terrestrial or from outer space, recent zombie pandemics, much like SARS or the Asian Flu, tend to be caused by viral infection or, on a geo-political note (as in "Resident Evil") chemical weaponry gone awry. The zombies in "28 Days Later" and "Dawn of the Dead 2004" are referred to not as dead, undead or even as zombies, but rather as "the infected." Transmission of the "zombie virus" tends overwhelmingly to result from physical contact  usually a scratch or bite from an infected. 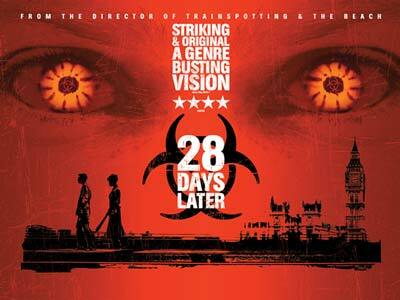 The zombies in "28 Days" are so infectious that contact with a single drop of their blood can transmit the virus. Modern audiences shouldn't find it hard to believe that a virus could quickly wreak worldwide havoc, turning otherwise healthy, likeable folks into bloodthirsty, snarling zombies. If you think about it, that seems at least a plausible concept. 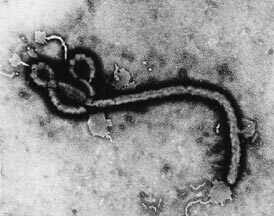 Ebola virus: The final stage of zombie evolution? Consider the damage that a virus like SARS or Ebola could potentially unleash on humanity if left unchecked, or take into account the staggering loss of life that continues to be caused worldwide by AIDS. Isn't it conceivable that a virus that acted a little faster and was slightly more contagious could cause a zombie outbreak that could threaten mankind? The final stage of zombie evolution is from plausibility to possibility. No one could honestly say that it's not possible that the world will end in a gory zombie apocalypse. That's why, all of the sudden, zombies are really scary. Ryan extends thanks to Ian Jane, who reviews movies for dvdtalk.com and dvdmaniacs.net. Jane, a zombie authority, loaned a pile of movies and a book for research purposes. E-mail Ryan at ryonie@hotmail.com, and see more of his work in our archives.